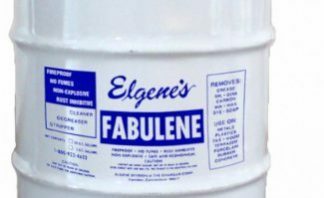 Efflorescence is a crystalline deposit of salts often seen on the surface of concrete, brick, stucco, or natural stone surfaces. It occurs when water is present on or in the masonry surface. It sparkles. It’s white, sometimes with a grayish tint. These deposits, which are often a byproduct of the manufacturing process, are carried to the surface by water within the masonry. AC-3 Cleaner removes efflorescence from masonry without the use of Muriatic Acid. 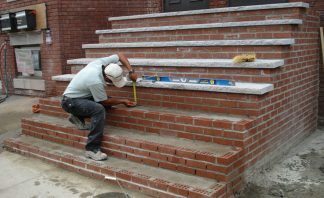 Sealing the masonry surface with one of our sealers will prevent water from entering and carrying more salts and minerals to the surface. 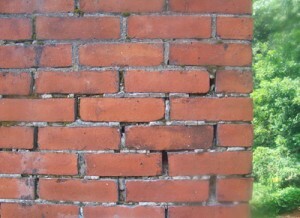 This picture is an example of a neglected chimney which over the years has been allowed to absorb water and the results are the damaged joints and the destruction of the whole chimney. This chimney will require a professional to set up staging, cut out loose and bad mortar joints and then apply new mortar to the joints. There are many clear sealers on the market, they all proclaim to be the best, use my product, but when you read the fine print they all work best when applied to a sound surface. 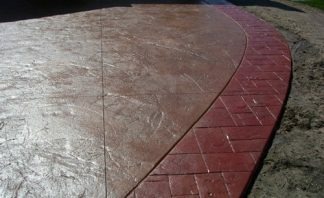 Clear sealers cannot take the place of mortar and sound solid bricks. Clear sealers, the active solids left behind in the pores of the masonry can only work properly when the mortar joints are tuck pointed tightly and the bricks don’t have spalling faces and the roof cap cannot have mortar missing. The roof flashing must be in good shape or sealing your chimney will only stop some of the water. Our products are always made with the highest quality resins and powders. A technician is always available to offer assistance and guidance in using our products.